Whether you see dandelions as lawn invaders or wildflowers, I’m sure that by now you’ve heard they are a nutritious superfood. What you may not know is how beneficial they are for your skin. 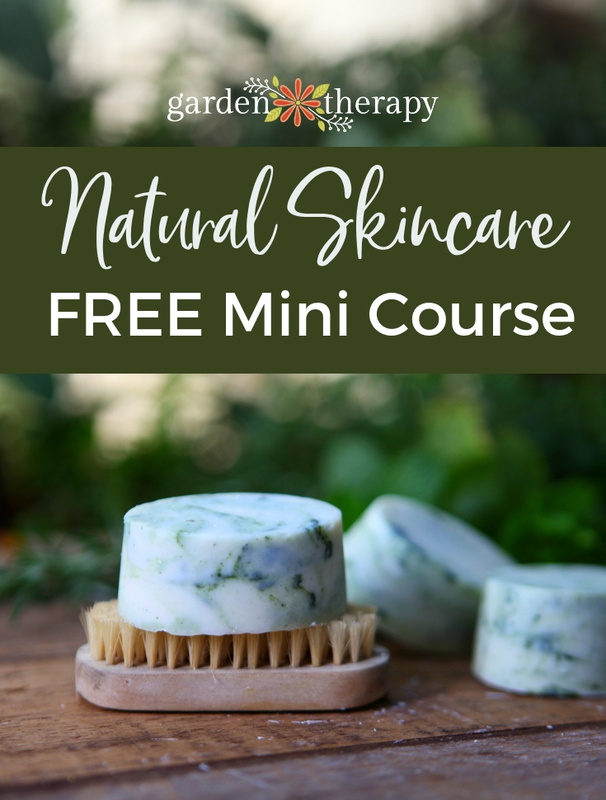 I always include dandelions as one of my favorite garden plants to grow for skin care. And what’s even better? You can find them just about anywhere! I have a long history of changing my mind about dandelions. When I was a child, I love picking them and blowing the seeds into the wind. As a new homeowner, I frowned upon the neighbors with yards full of those same bursting seed heads that I just knew we’re going to come over to my yard uninvited. 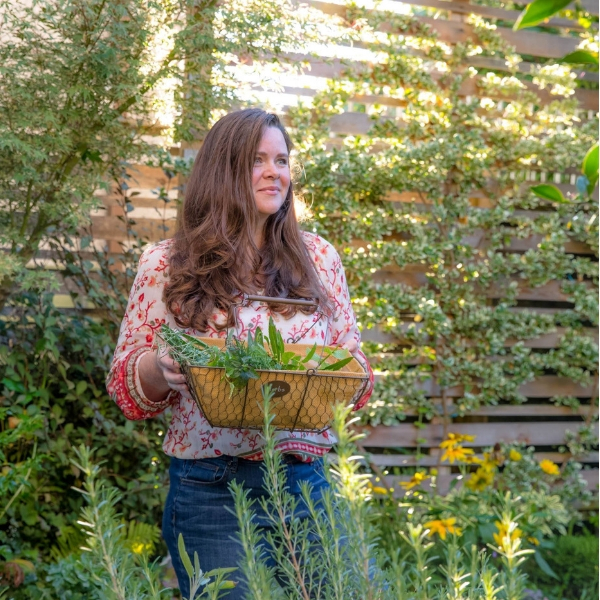 But when I started studying the medicinal benefits of plants, I started to appreciate these happy yellow flowers with the serrated leaves that are packed with a nutritive punch and medicinal properties. First off let’s identify a dandelion knowing that there are a few look-alikes out there. A dandelion will have a rosette of leaves then have pointy tooth edges the point downwards, almost like a series of arrowheads, or perhaps even lions teeth (which, by the way, is how the name dandelion is derived from the French, “Dent de lion.”). If the plant you’re looking at has rounded leaves and it’s not a dandelion. The next thing you’re looking for is one single flower stock rising above the leaves. Multiple flower stalks? That’s a look alike. And to be triple sure, snap the stem and look for the white, milky sap. The sap is a natural latex, so be aware if you have a latex allergy not to touch the sap. If you don’t have a latex allergy then the sap is used as a treatment to dissolve warts. 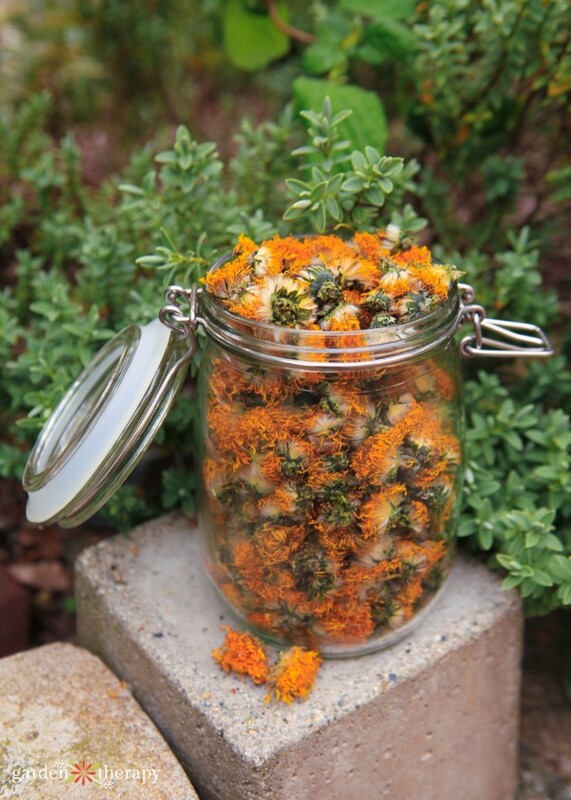 But today we’re going to talk a little bit more about the flowers for infusing herbal oil to use in skin care projects. 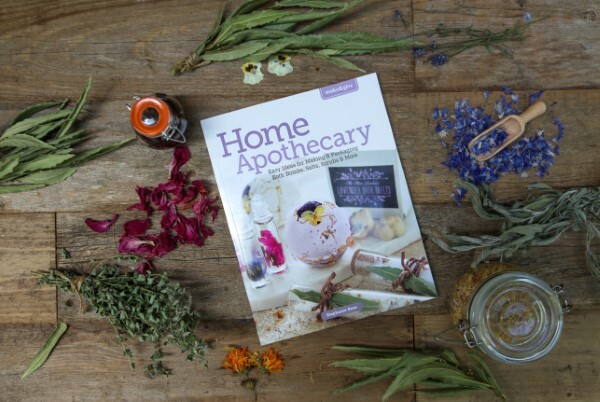 The flowers are full of antioxidants and ingredients that sooth and benefit the skin. They also help to repair dry skin and act as an anti-inflammatory. In most cases I prefer to infuse herbs in oil over a gentle heat to extract the constituents. 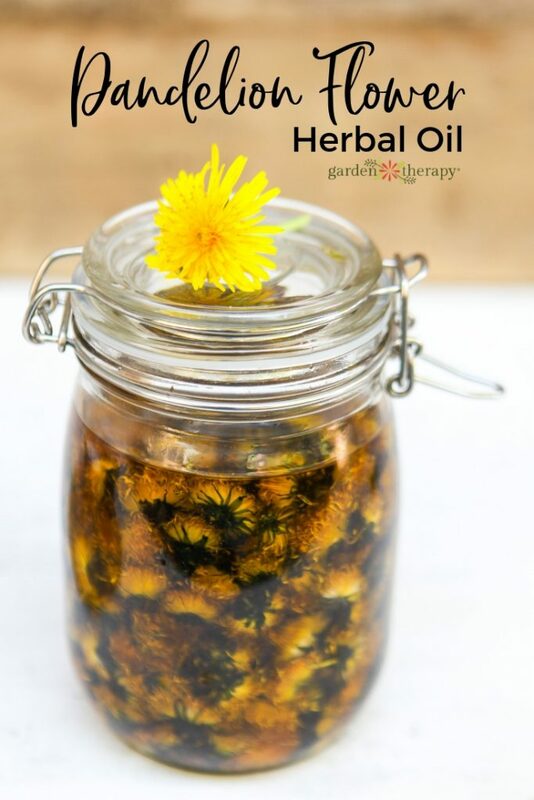 And you can certainly use any of these methods to make a faster version of this dandelion flower oil. For today I’ll show you the cold infusion method. You don’t need the entire plant, just the flowers. Pop off their heads in the early morning at a time of year when they are plentiful and in full bloom. Harvest them from a trusted location that you know has not been sprayed, is subject to vehicle pollution, irregularly visited by dogs. You don’t want any of those things infusing into your oil as well! Yuck. 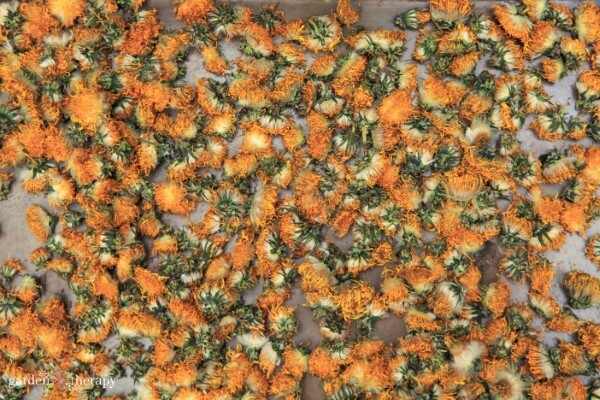 Spread the blossoms out on a cookie sheet or drying rack out of the direct sunlight. Leave them for at least 3-5 days to give them a chance to dry out (and also give the ants a chance to relocate!). 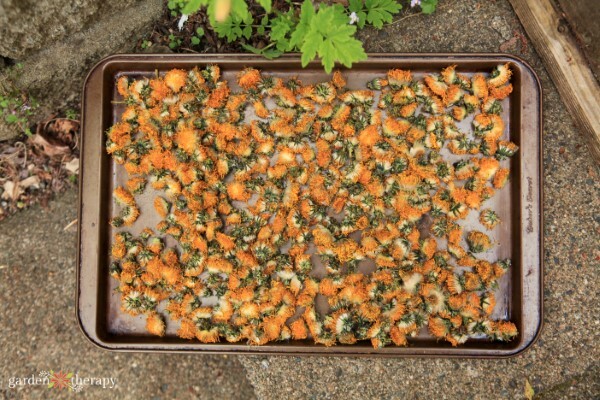 You can also use a dehydrator or oven on low to speed up the process. The blossoms will shrink quite a bit, so collect at least three times what you think you might need, but also being sure to not harvest more than 30% of the flowers in the patch, unless they are from your own garden. 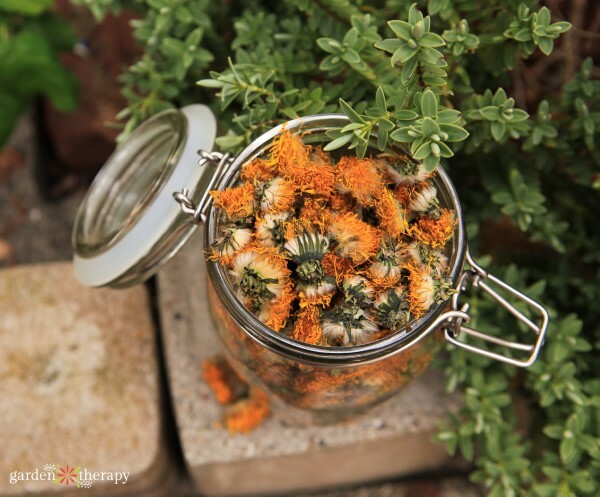 When the flowers have dried pack them into a glass jar. Use a spoon to press them down in the jar to and lightly compact them. Keep filling the jar and pressing down the flowers until the jar is filled all the way to the top. For this cold infusion you can use olive oil, grapeseed oil, sweet almond oil, or really any skin care oil that you want to use in your products. Pour the oil into the jar over the flowers. Use the spoon to push the flowers down and release some of the air bubbles allowing the oil to saturate into all the gaps. Fill the jar to the top ensuring that all the flower blossoms are covered in oil. 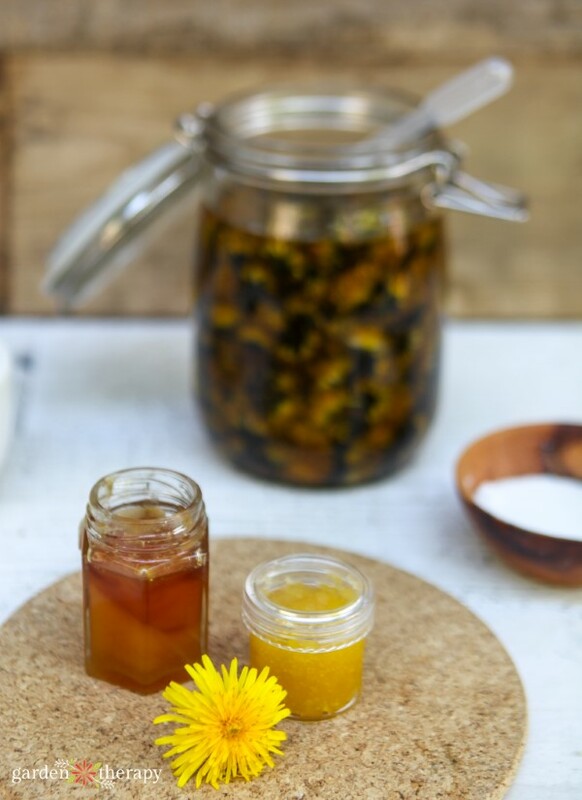 Set the oil in a dark place for 4-6 weeks to infuse, after which you can strain out the dandelion flowers and use the oil in your natural skin care recipes like this Honey Dandelion Lip Scrub. 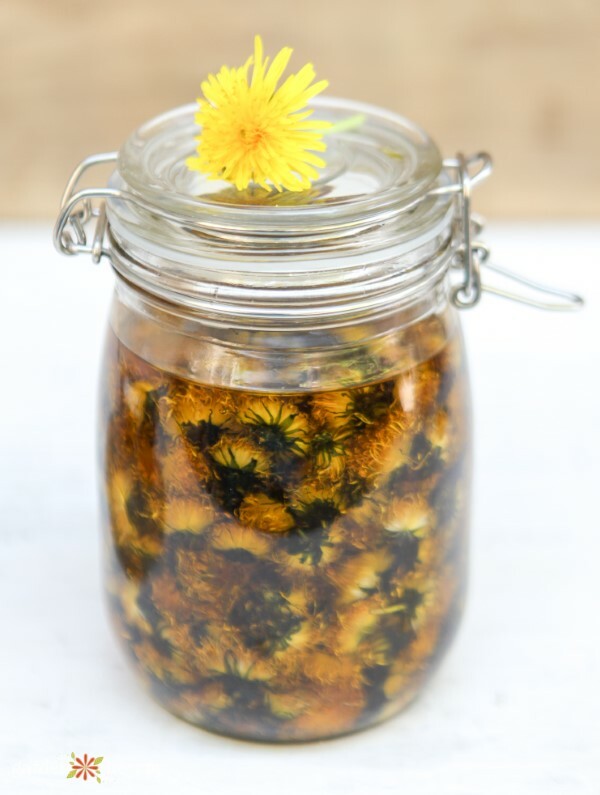 Once you have some yummy dandelion flower herbal oil ready, you will need some recipes! 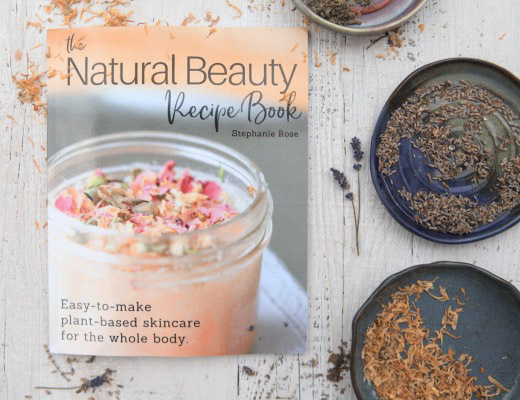 Here are two of my recent books filled with ideas for how to use your garden-grown goodness to make your skin naturally beautiful.